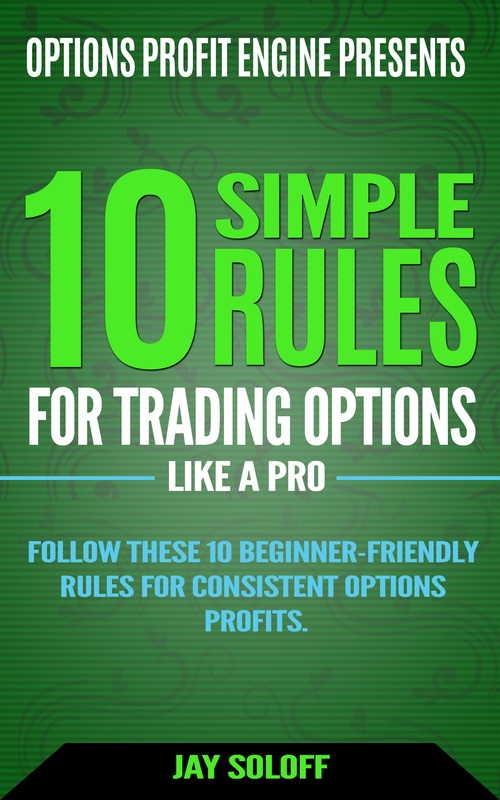 There are generally two reasons why a stock a sudden, big move. Either the overall market is having a big up or down day (the systemic effect). Or, the company itself has some specific news item causing a large move (the idiosyncratic effect). Most stock specific news is related to earnings or product announcements, although sometimes it can be something entirely random. Sticking with the more standard explanations, we tend to see gap moves in stocks after a surprising earnings announcement or an unexpected product announcement. Earnings surprises are generally straightforward but product surprises are a different matter. What kind of product announcement can cause a stock to gap (usually higher)? In most cases, a surprise product announcement is one that comes entirely out of left field. We’re not talking about the next edition of an iPhone, but instead the unveiling of an entirely new product line. 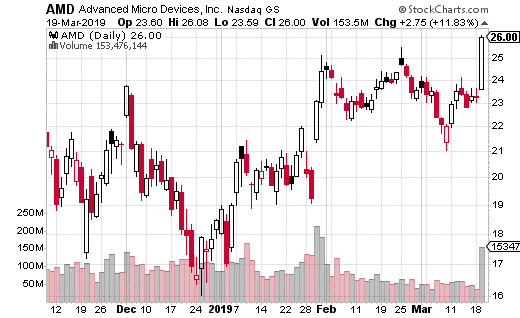 For a perfect example, look what just happened with Advanced Micro Devices (NASDAQ: AMD). AMD is one of the biggest graphic card companies in the world (GPUs). The company’s Radeon line of graphics cards are particular prevalent in the gaming universe. The video game industry is huge and continues to grow as e-sports becomes a more mainstream phenomenon. So, when Alphabet (NASDAQ: GOOGL) announced a new video game streaming platform called Stadia, it was huge news. What was even bigger news for AMD is that Google announced it would be using their GPUs to render the graphics for its new gaming system. The response by investors was overwhelming positive for AMD – and why it shouldn’t it be? There’s a massive amount of potential with this service and it will clearly boost sales and profits for the company. In fact, the stock jumped 12% on the day of the announcement. What’s more, bullish options action in AMD substantially increased. The 30-day average for bullish trades on AMD was at 60% of activity. But, the day of the announcement, bullish activity jumped to 76% of all options activity. One strike and expiration which saw a lot of action in particular was the 27.5 strike expiring on April 5th. With the stock price around $25.50 about 2,000 of these calls were bought for about 40 cents. That’s a breakeven price of $27.90 for roughly a two-week trade. The stock closed at $26 the day of the spike, so the trader clearly thinks the stock will keep running. The buyer is spending about $80,000 on this bullish trade, but could generate $200,000 per $1 above the breakeven price. If you want to make a short-term bet on AMD continuing its climb, buying those short-term calls is a reasonable trade. However, you can also buy yourself more time without spending too much more in premium. The April 18th 27 calls cost about $1 with the stock at $26. So, for a full month before expiration (and with the stock 50 cents higher and the strike 50 cents lower) you can spend $1 instead of $0.40. The breakeven point is still right around $28, but you have 2 additional weeks (and about 4 total weeks) for the trade to work. That’s a reasonable tradeoff in my opinion and will give you a better chance to succeed if the stock keeps climbing. Given the massively bullish news, it certainly wouldn’t shock me if the stock takes a shot at $30 or above in the near future.